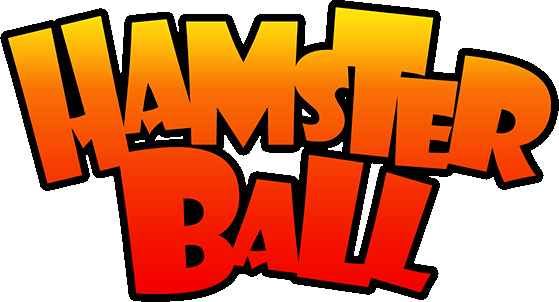 Wobbly Race is the 11th Hamsterball level, between Toob Race and Glass Race. This was the 2nd hardest race before three races were added in 2008. Most players are struggling to beat the race, they ended up with less seconds remaining (Tournament), or more seconds than Bronze medal. (Time Trial , Party Race). You are spawned beside the "not-so-wobbly" path. Pass through it and another wobbly paths added very near themselves. Be careful not to fall off or you'll be spawned back between the platforms some time! Go through the wavy path, then proceed to the tube and go with accurate speed and luck in the wobbly platforms going near themselves. Another first section of the race is added after the platforms. You need a really fast speed and control to get past the big wobbly platform, where most players lose. Then proceed to the skinny curvy wobbly platform that takes you to the goal. Like Dizzy Race, it has a green color, but slighty different. Background color is dark green. Think before you win. Before getting to the goal, go around it, and fall off the right edge of the goal, and the unlock spot will appear. Some parts of the race are swinging and can lead hamster to death and re-spawning in a random location. Surprisingly, when you has make a custom level, on Party Race if you go to sway location you will see the sway location will stop.